Mix your Friday night up with drinks, mingling, science and entertainment! 21+ crowd: This night is exclusively for you! 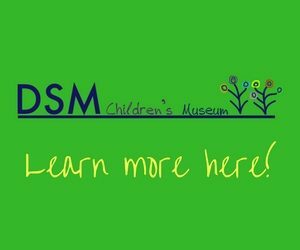 The first Friday of every month, experience all that SCI has to offer – minus the kids. General admission is $5; FREE for SCI Members! Most importantly, the night will include you, your friends, and a ton of other people who are like-minded! 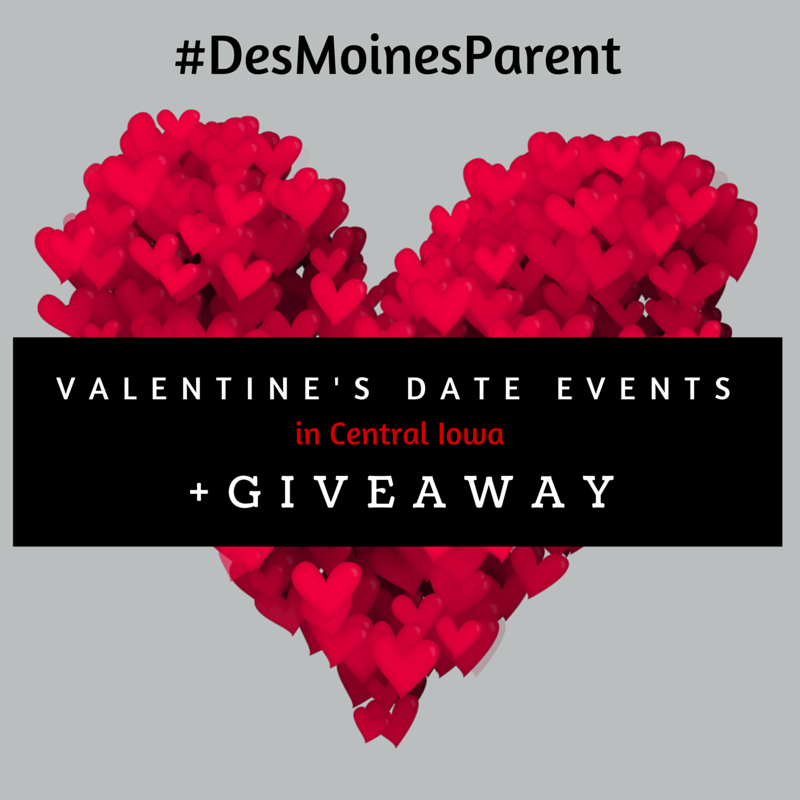 We host Sustainable Sweethearts in Des Moines because we know that bringing us together generates new ideas and connects us more to one another! 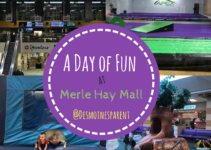 Join us for a very special DIY Adventure! We will be pairing up with Fox Brewing right here in Valley Junction for a Valentine’s Edition afternoon! Beer and coasters (for our beers!) The DIY will be Scrabble “LOVE” Coasters. Perfect for a Valentines gift or for yourself to use all year long. As the varnish dries, we will be treated to a full beer tasting. You won’t be disappointed by what this new brewery is doing! 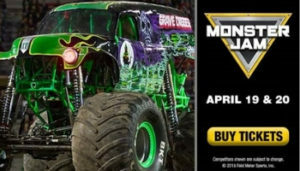 So grab the girls, grab your guys, or make this a perfect date for you and your sweetie! This a 21+ event. 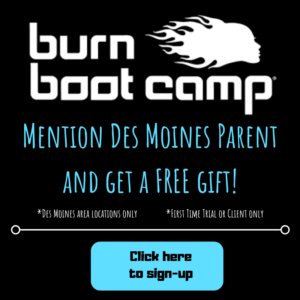 Pre-registation is required and can be made at either Finding Iowa or at Fox Brewing. Cost is $35 per person. Limited space available, so make your reservation today! 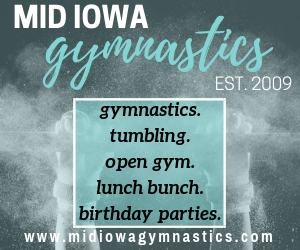 Club Members – $20 per person. Call us at 515.224.9463 to RSVP. Join us for February’s Wine and Beer Boot Camp class, Dessert-Making Demo and Wine Pairing! Have fun with your sweetheart while you taste and learn! Or, enjoy a fun night out with friends! RSVP required, call today! Treat your Valentine to a romantic evening at Tassel Ridge Winery. Begin with Wine Tasting in our Tasting Room and then enjoy a gourmet three-course dinner. 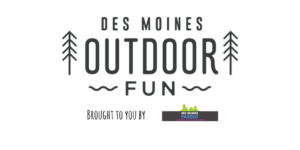 A Spinach and Arugula Salad with Roasted Beets, Crisp Pancetta, Blue Cheese Crumbles, and Red Wine Vinaigrette paired with Tassel Ridge La Crescent will be followed by Prime Rib with a Twice Baked Potato and Creamed Corn paired with Tassel Ridge Iowa Marquette. For dessert, indulge in a Chocolate Molten Lava Cake Paired with Tassel Ridge Oskyfizzante® Pink. 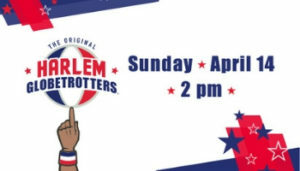 No RSVP Necessary – We’ll see you there! 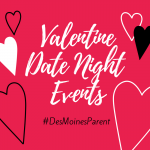 Bring your sweetheart for a fabulous night of Fondue and FUN! Warm up with Cheese and/or Chocolate Fondue for Two, both served with tasty sides for dipping. Pair with your favorite glass of wine or beer on tap! Live music at the Hotel Pattee Friday and Saturday evenings 7-10 p.m. Local musicians perform fireside in the lobby of the Hotel Pattee. Come out for the music, enjoy our restaurant & lounge or make it a getaway. Celebrate Valentine’s Weekend with a Wine & Chocolate Pairing at Tassel Ridge Winery. Tassel Ridge Winery has paired four Tassel Ridge wines with four different chocolates from Chocolaterie Stam. Taste all four and find your favorite(s)! $10 per person, plus tax—Harvest Club Member & 1 Guest: $5 per person, plus tax. Celebrate Valentine’s Day weekend with your very own Cupcake Pairing Flight at Jasper Winery on Saturday, February 13! We’ll pair 3 mini cupcakes with 3 pairing-size sips of Winery wines or Madhouse Brewing beers. Tasting flight is $20/person. Reservations required & available between 11am-5pm. Please call Jasper Winery at 515-282-9463 or email katie@jasperwinery.com to schedule your cupcake flight! Local guitarist/singer Brian Congdon will provide tunes during the afternoon so even if you’re not a cupcake fan, you can still stop in for some wine and beer while you enjoy great music. Valentines party day Saturday 13th (all day)!! Once again we worked with legendary local chocolate shop Beaverdale Confections to come up with a killer beer and chocolate pairing. $20 gets you 2 – 10oz. Beers paired with custom chocolates!!!! Enough to fuel a coupe’s fire……or kill the loneliness. Also tapping a special collab beer from 3 Floyds/Mikkeller. All day long! The Romance of Summerset awaits you and your special someone, Saturday February 13, 6 -10 p.m. at our annual Valentine’s Ball. Enjoy an evening filled with live music, wine and amoré! Enjoy a wine tasting reception and elegant meal paired with Summerset wine. After dinner, dance the night away! A deliciously memorable meal will be catered by Christiani’s and live music will be performed by The Indianola Big Band & Jazz Ensemble. Photographer, Chris Maharry will take a picture of you and your sweetie to take home. The cost is $60/pp and includes wine reception, dinner, bottle of wine per couple and photo by Maharry Photography. Rooms are available for rent at The Inn at Summerset. Contact the winery for more info: 515-961-3545 or hello@summersetwine.com. The perfect evening for your sweetheart…… take your sweetheart out for a nice dinner then join us for an evening of music with the band According to Hoyle. NO COVER! NO RESERVATION! 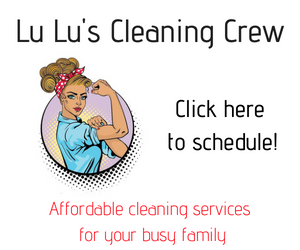 How many places have you heard where they are charging $50, $75 or even more. You can pick the place to eat then join us! Make one-of-a-kind clay gifts for a loved one on Valentines’ Day with Blanden Art Museum artist and instructor Diane O’Hern. Follow along step by step to create a rose, a butterfly, and a heart sculpted out of air dry clay and model magic clay. 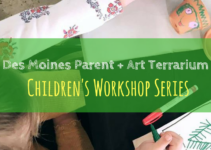 A make and take art project for children and adults. Preregistration with prepayment is required. Cost is $28 for members. The general public pays $35. 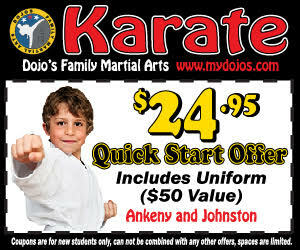 Iowa State University students receive 15% off the member rate. Tap into your inner Patrick Swayze and Demi Moore with this Valentine’s Day special! Each couple will recieve three pounds of clay and an hour of instruction to create a special piece together on the pottery wheel. A week later, the piece can be painted for no additonal fees! BYOB. Classes will be taught at 1:00, 2:00, 3:00 and 4:00. Cost is $20/couple. Space is limited, so reservations are required. RSVP at (515) 978 6999 to secure your spot! Celebrate Valentine’s Day weekend and get a little creative! Join us on Valentine’s Day for a Wine & Canvas painting class from 2-5pm. Wine, beer and snacks will be available for purchase. Started in 1985, this annual food and beverage event is the oldest in the area and has become a yearly favorite for foodies and oenophiles alike. Featuring more than 40 of the finest restaurants, caterers, wineries and breweries, the Wine & Food Showcase has become the premier event of its kind in Des Moines and has become Des Moines Metro Opera’s signature fundraiser. Patrons will partake in a silent auction filled with packages that can only be found at Wine & Food Showcase. 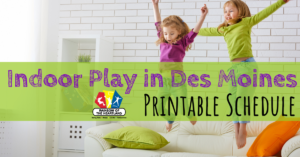 Proceeds support Des Moines Metro Opera’s nationally recognized productions and award-winning education and outreach programs, which annually reach over 40,000 individuals. Every year, the celebration adopts a wacky theme for attendees, restaurants and sponsors to embrace. From Baconmania VIII’s wrestling vibe to Viva Las Bacon’s tribute to old Vegas, everyone gets a little goofy to take part in the bacon madness. 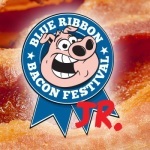 This year’s upcoming event will promote a healthy bacon lifestyle by incorporating 1980’s aerobic fitness into the culture of bacon fellowship. So, dust off your thigh masters, put a Richard Simmons video in your VCR and start sweatin’ to the sizzle with “Body by Bacon”. Come graze with us, celebrating Iowa’s rich culinary bounty with unique monthly tastings in our Visitor Center. Gather your friends and explore local food and beverage specialties. These food and beverage showcases benefit Living History Farms. Dare to pair one of a kind mini-tini’s mixed by Iowa artisan distillers with bite-sized sweets and savory items created by local eateries. Visit with distillers about the process of making spirits with Iowa grains. Complimentary snacks and soft drinks are included. 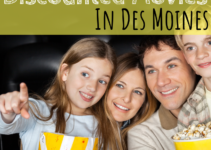 Another great date night idea is a show at the Des Moines Community Playhouse! 12 Angry Men is playing now through February 21st. Check out when we made this a date night. 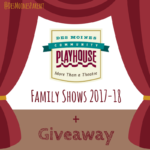 To help celebrate, I am giving away 4-FREE tickets to ANY show at the Des Moines Community Playhouse. You can use them for Valentine’s Day or gift them to your sweetie for a show later this season! Giveaway ends February 10th! Take a look at our Ultimate Guide of Date Night Ideas for more ideas! Looking for childcare? Check out Sitters For a Night Out! One of my favorite date night ideas is listening to live music. Karaoke is also fun! Blog post: My most favorite date ever-camping in Dubuque by the Missisippi and riding cable cars, viewing jail, horse drawn tour…etc. I’m always happy with dinner and a movie for a date night! My favorite date night is spending time with my husband -I don’t care what we do. We love getting away for a date night! Not having to cook or clean up is huge for me so we usually go out for a meal. 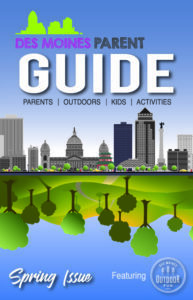 We love doing something active too like walking around grays lake or renting a paddle boat. I’m not sure what my favorite date night would be… we haven’t had one in over three years! I love the playhouse idea! One of my favorite dates that my husband I did was a chocolate tour of des moines. We went around to all the different chocolate shops and got a little something at each one. I LOVE this idea! That is great! What places did you go? This would be a perfect idea for Valentine’s Day! ?❤️? I would love to win❣?❤️? Im not sure what my favorite date night would be.. We have a daughter withhealth issues and don’t go out much. Its been forever since we had a date night. I think we would definitely enjoy any of these listed tho!! I love going camping with my love and on long hikes! My favorite date nights always include great food & dancing!